Despite the best intentions – including buying a specific Caribbean cruise travel book – the extent of my Caribbean research amounted to scrolling through Instagram using various hashtags, and getting lost in other people’s photos. 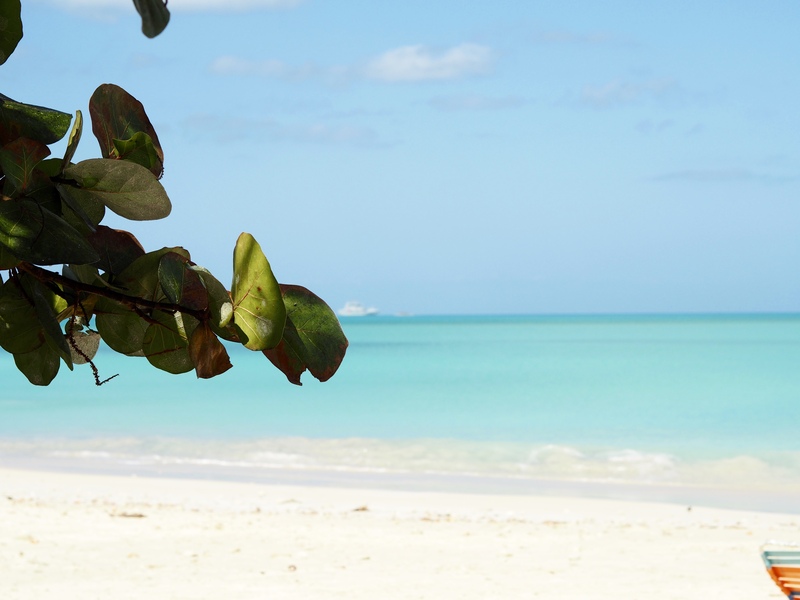 My searches for Antigua brought up hundreds of tiny squares showing beautiful beaches and people enjoying coconut drinks in the sun. I might not have found my coconut drink during our visit, but we did find ourselves another stunning beach to enjoy. 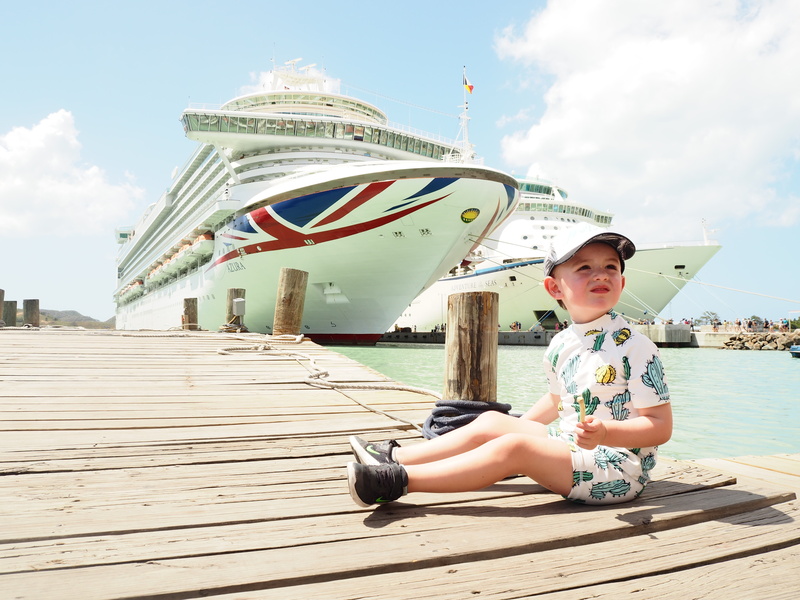 Antigua was the third port on our P&O Caribbean cruise, which saw us visit four different places in quick succession over four days. 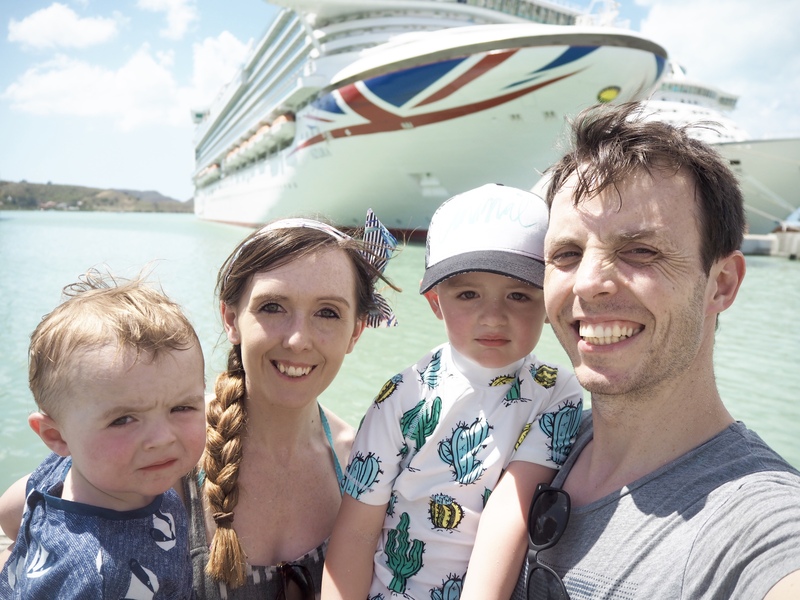 It doesn’t sound like a hardship, but with two young boys, tropical heat and a lot of sightseeing packed into a few days, we were flagging a bit by day three! But still, we wanted to make the most of our day ashore, albeit without wearing ourselves out. 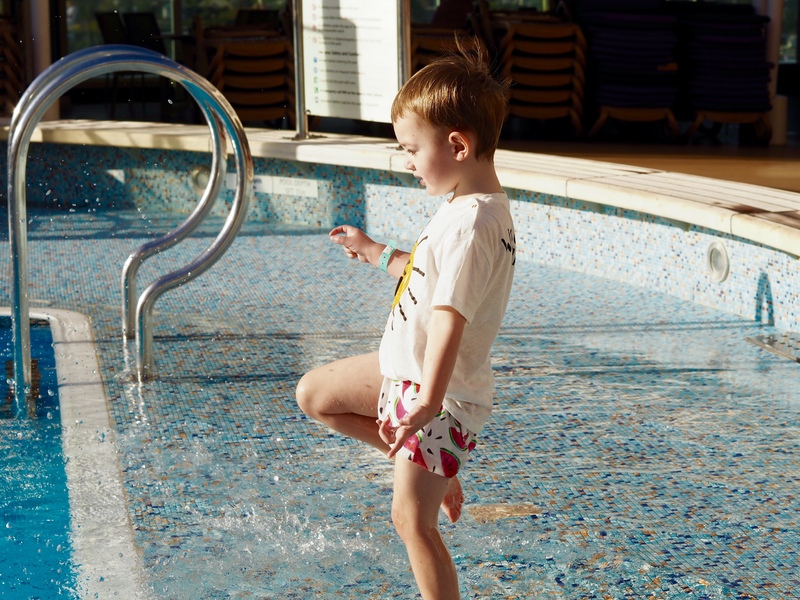 The two swimming pools in the middle of the ship had a tiled area around the sides so if the sea got rough the pool water had somewhere to splash without getting the deck wet. The boys were straight in there, running around in the ankle-deep water chasing each other. Then they got bolder and started splashing each other. By the time Stew had eaten his breakfast they were both soaked and needed to be changed. I could have stopped them, but they were having so much fun and we hadn’t docked yet, so we weren’t missing out on time ashore. We eventually got off the ship and danced our way along the port to the sounds of a steel drum band playing on the boardwalk. 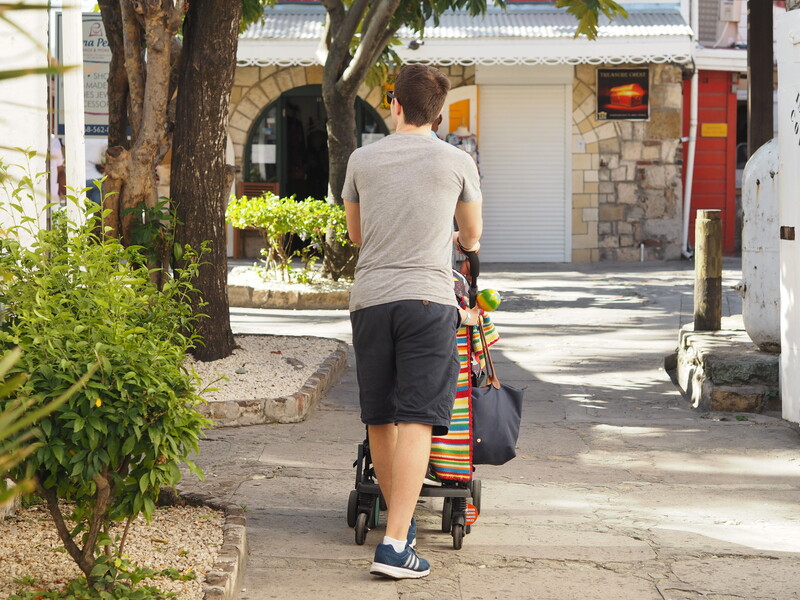 Our biggest boy was impressed with their reggae version of Ed Sheeran and shook the maracas we’d bought in St Lucia along to the tune, while our littlest was more keen to get moving, shouting “let’s go” from the buggy. 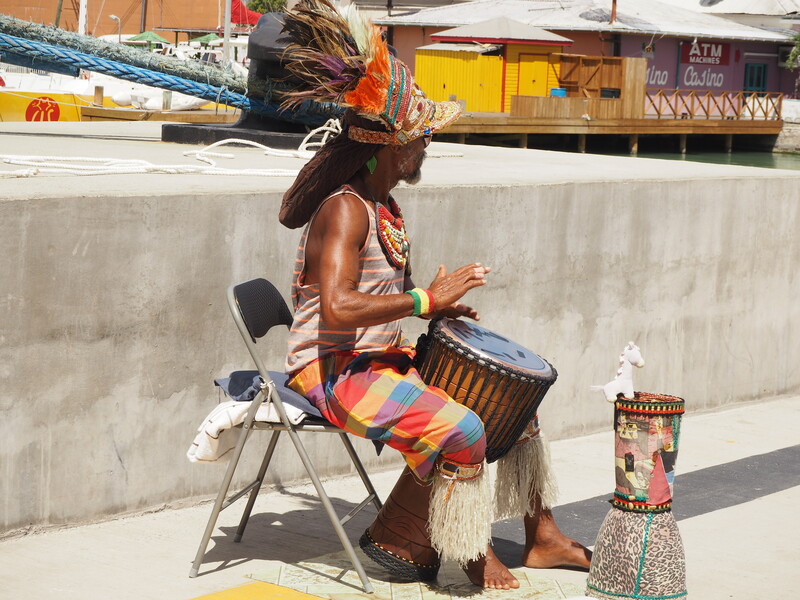 We also passed a man playing bongo drums a little bit further on – it was a proper carnival feel! From the leaflet left in our cabin outlining the sights of Antigua, there was a nice-sounding town just outside the port which we decided to start walking to and see how far we got before the heat defeated us. If I’d checked the scale of the map, I’d have realised the town was the port and was less than a few minutes walk from the gangway (geography was never my strong point)! After realising this, and that the town was a newly built little village of duty free and tourist shops, we decided it would be a good idea to venture to the beach first and then come back for an ice cream to cool down. It’s amazing how close to the town the ships stop! 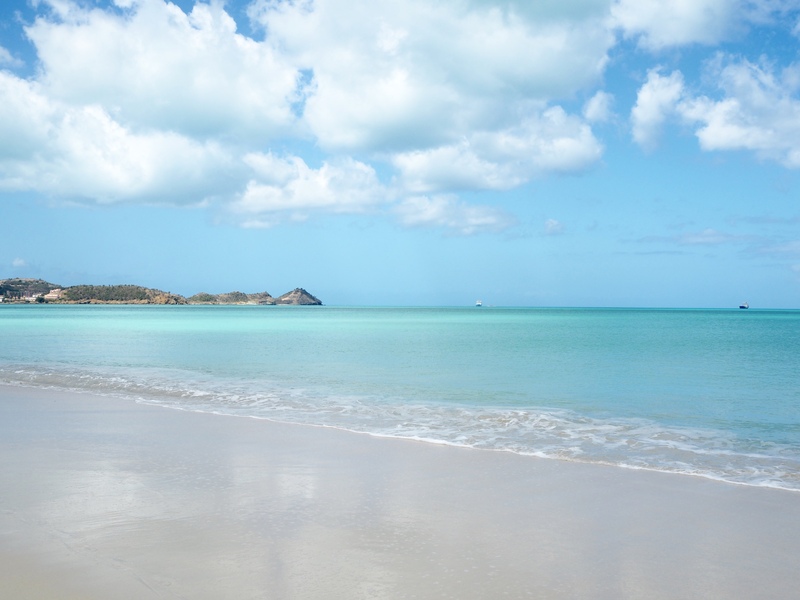 Antigua’s claim to fame is having so many beaches that you could visit one every day of the year. We had just the one day, so trusted a taxi driver’s judgement in choosing one not too far away. 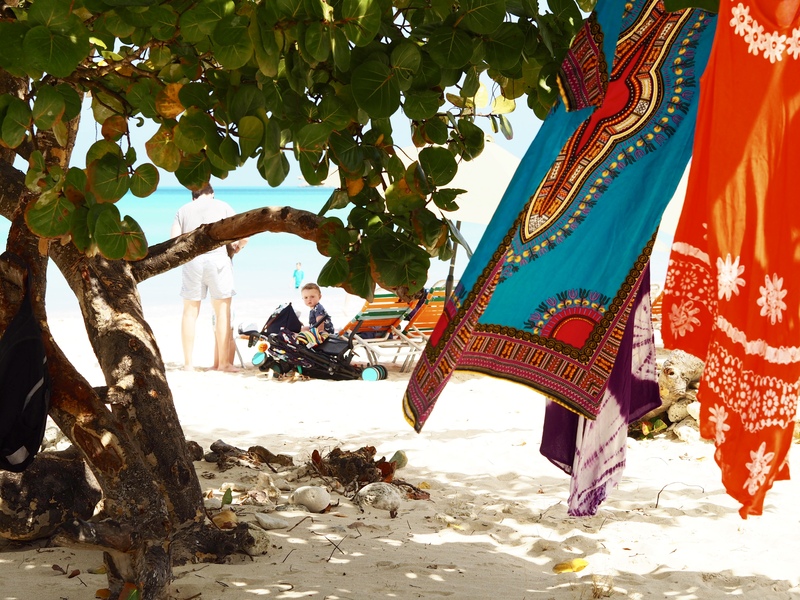 Six minutes later, we were unpacking our towels onto sun beds on white sand overlooking clear blue sea. 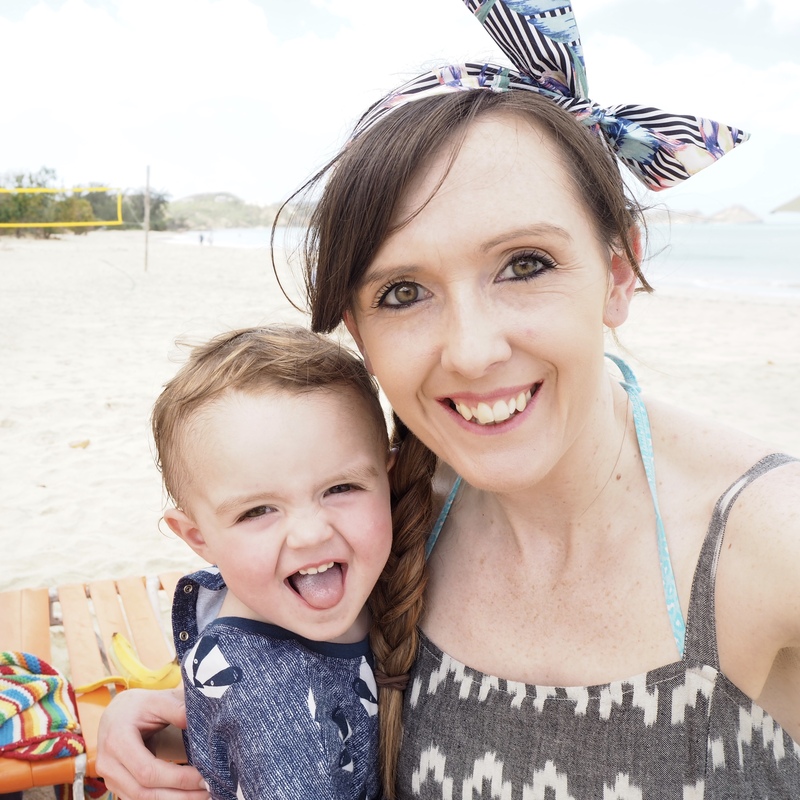 The boys were well into the swing of beach life by now, with the biggest stripping straight off to put his swimmies on, and the littlest settling down on a sun bed with his maraca to watch the action without getting his feet sandy. This beach had a bar, an outdoor shop selling sarongs and bright floral shirts, and randomly a horse riding stall. 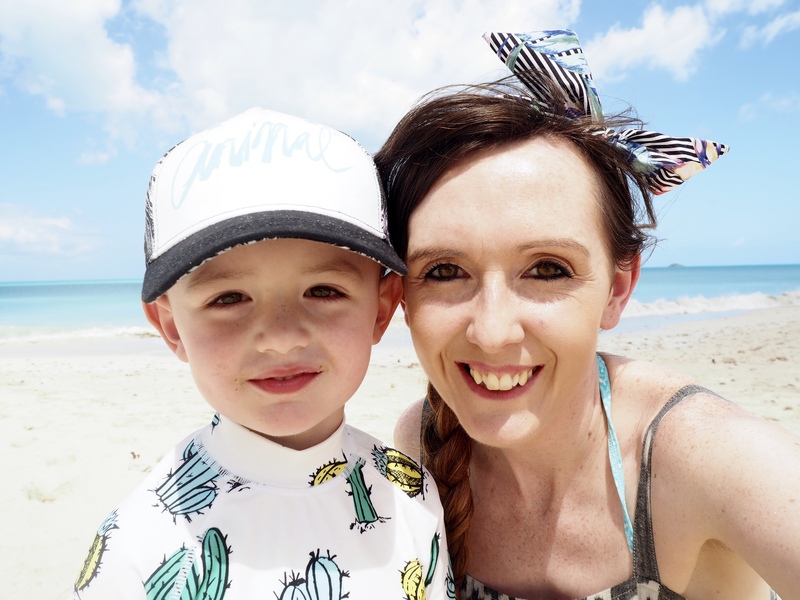 We managed to avoid getting on a horse, but ended up buying drinks, snacks and a bucket and spade for a slightly extortionate rate … it did get the littlest off the sun bed for the first time, so it was worth it! 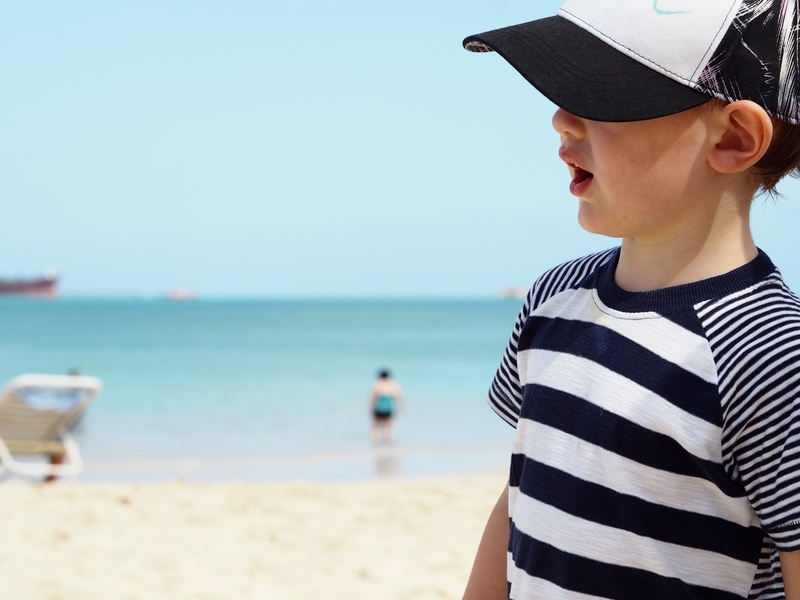 Even though it was our third beach in three days, it still gave me little butterflies in my stomach looking out at the sea and watching our boys enjoying in the sun (or shade in one of their cases). It might have been a mad spur of the moment decision to book the holiday, but at no point during the fortnight did I think it was a bad idea. We should have been in work, but instead we were wandering along the beach, picking up shells and trying to dig a hole big enough to bury me in (I don’t know why I was the subject of this, but there was no way it was happening!). I managed to drag the biggest boy away from his digging to have a little bit of time to ourselves. We walked up the beach, wandered over to where the horses were having a rest and got chased by the waves. Since having our little bear and going back to work full time I don’t get a chance to spend time with him one-on-one, so it was nice just to be the two of us even just for a few minutes. Where we were sitting was the end of a little stretch of sun beds, and we didn’t have to walk far to feel like we had our own little piece of paradise. No people, no noise, just the sea. 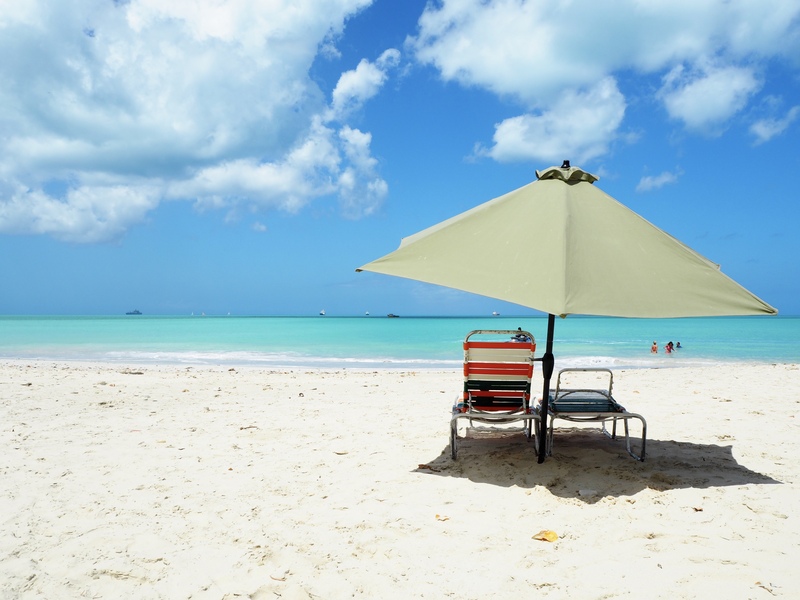 We had decided Antigua would be our last beach day as really we should try to see at least one town during our holiday. The temperature was also creeping up each day, and the last thing we wanted was for one of the boys to get sunburned. 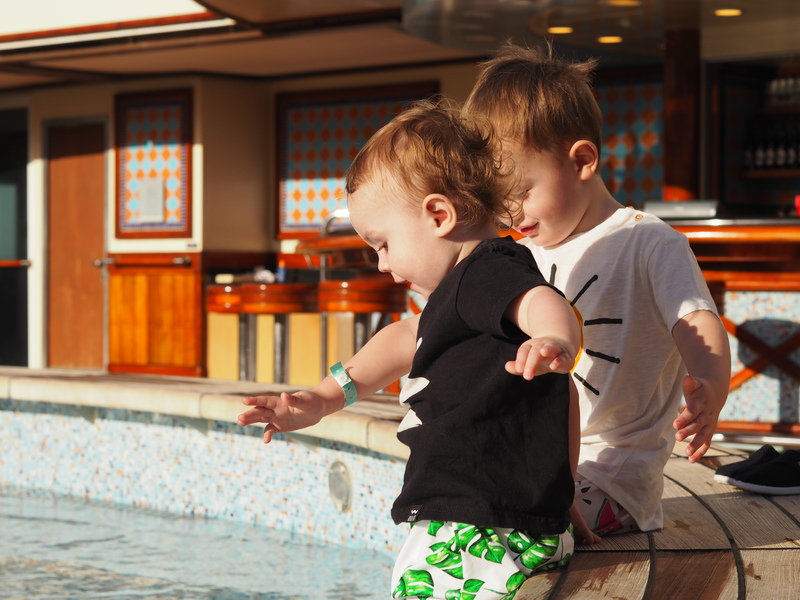 Our littlest already had red patch of skin on his cheek – something that flares up regularly and is nothing to do with the sun – and we had a few comments about it from other passengers on the ship. I can’t imagine how guilty I’d have felt to be saying that he’d burned! 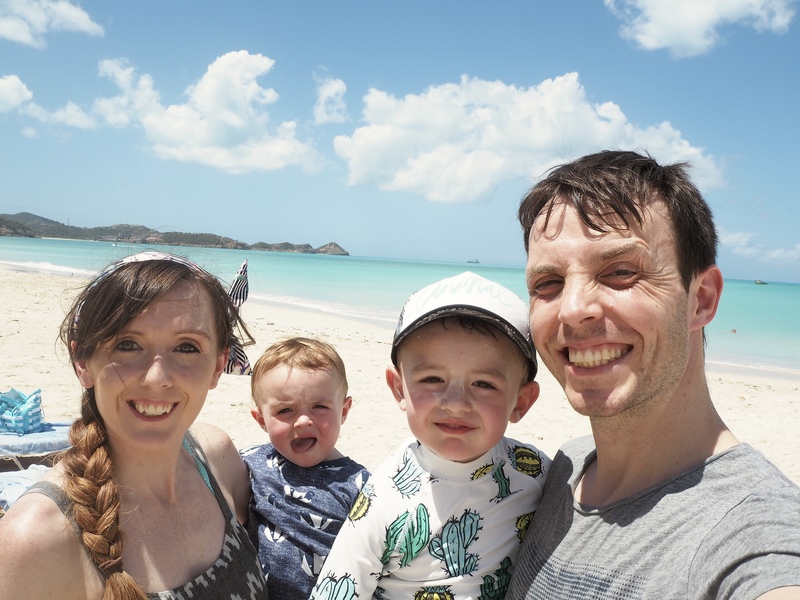 Anyway, as it was our last day on the beach it would have been nice to stay for a few more hours, but in all honesty it was just too hot, and our littlest boy desperately needed a nap. 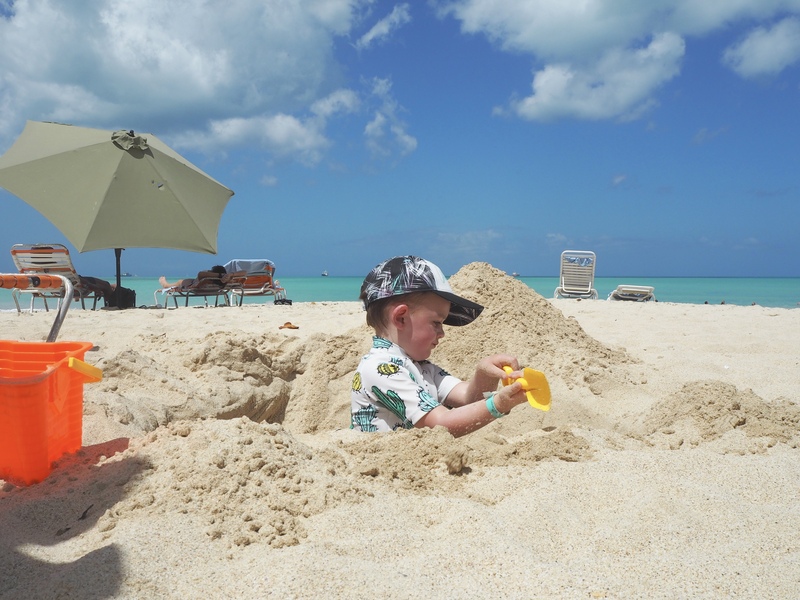 He couldn’t settle properly, and it would have been impossible to push him up and down the beach in his buggy. We dragged our sticky, sandy selves over to the cafe to wait for our taxi, where the boys entertained themselves by flicking water at each other and making up moves to the rather dubious dance music. 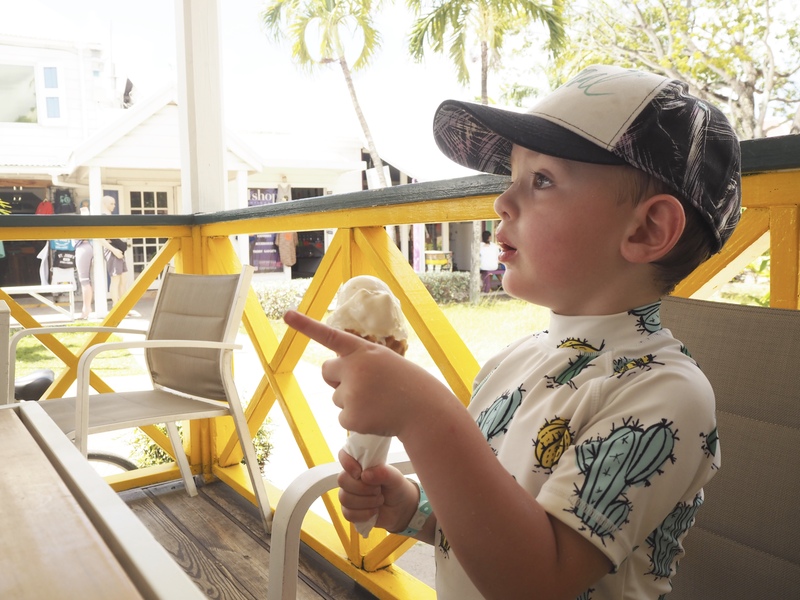 We wound the taxi windows down to feel the breeze, and as we headed back to town our biggest boy asked the driver dozens of questions about the hurricane that hat hit neighbouring island Barbuda last year, while our littlest sleepily drank his milk on my lap. We asked to be dropped off at the top of the hill outside the cathedral so we could walk back down and see a bit more before leaving … and it turned out an enormously high kerb outside the cathedral stopped us from going into the grounds to have a look around. At least we’d tried! 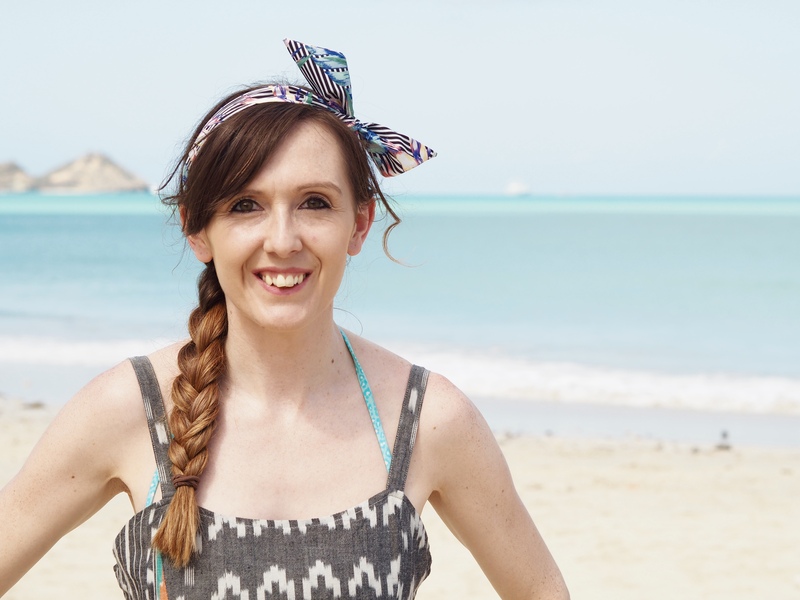 I can’t remember exactly what happened – I think maybe we didn’t have a small enough note – but Stew ended up having to walk to a shop to buy a bottle of water before we could pay for the taxi ride, so I was left making smalltalk with the driver. Awkward silences make me very uncomfortable, so I ended up rambling on about some nonsense until I spotted them walking back up the hill with some change. On the way back down to the ship our biggest boy carried on asking about the storms, if people’s houses have been fixed, and why they didn’t know the hurricane was coming. He picks up so much, and his little mind amazes me with the way it thinks sometimes. I remember hearing about the hurricane hitting Barbuda on the news, and at the time had no idea that in just a few months we would actually be in the Caribbean. Life is so funny, isn’t it? 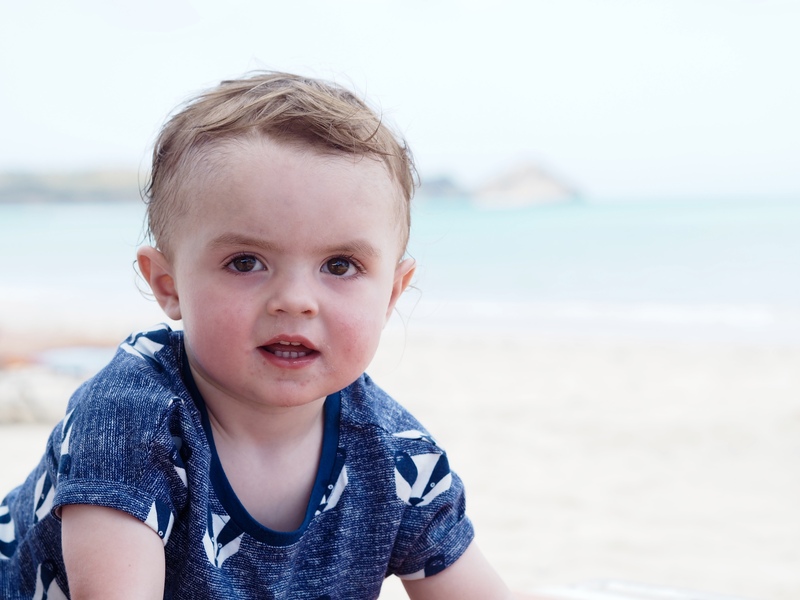 Our littlest boy, on the other hand, was clearly worn out from all the beach fun and fell asleep before we’d even paid the taxi dirver. 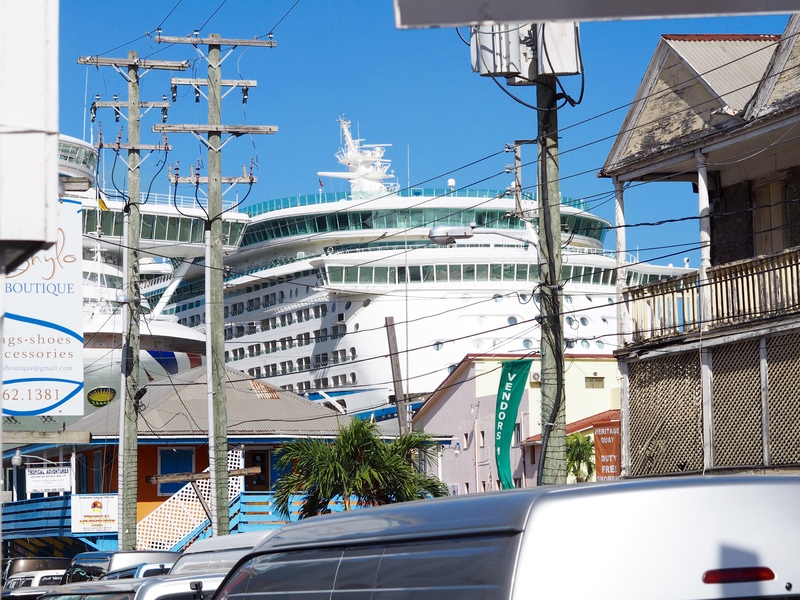 I don’t know if the rest of Antigua is the same, but walking through town I got the impression that not many tourists wander far from the port or beach. 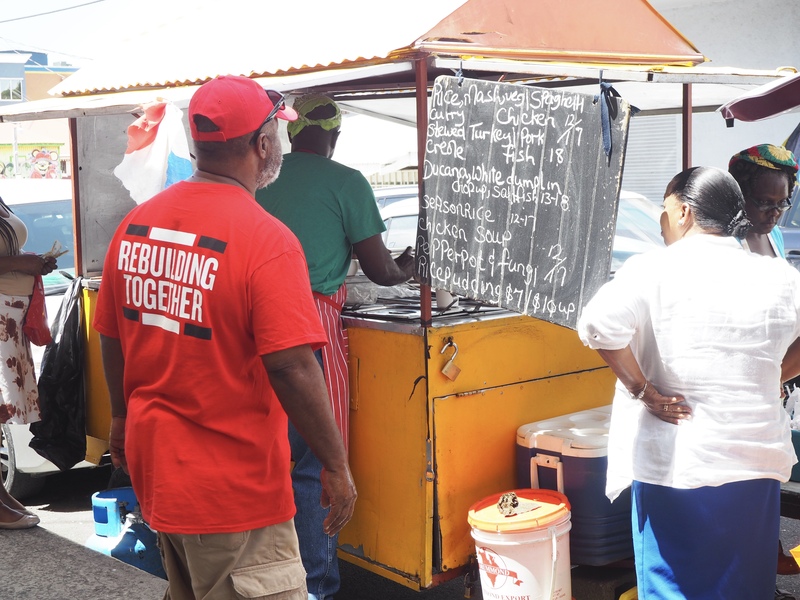 I felt the same in St Kitts – as if people just stay in their all inclusive resorts for the whole holiday. Maybe I’m wrong, but we didn’t see any holidaymakers until we were a street or two away from the ship. 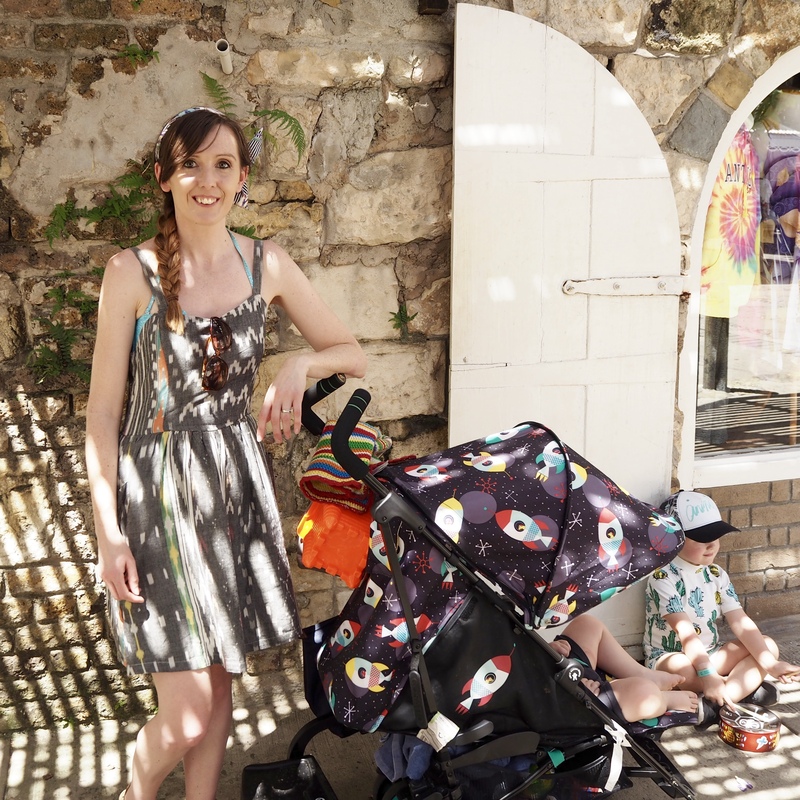 It’s not like we were able to wander off the beaten track with two young children, but I like to go even just a few streets out of the tourist areas just to see what the place is really like. Our first stop back at the port was the ice cream shop (of course) to cool down. A white chocolate for the biggest boy, cookies and cream for Stew, and strawberry for me. 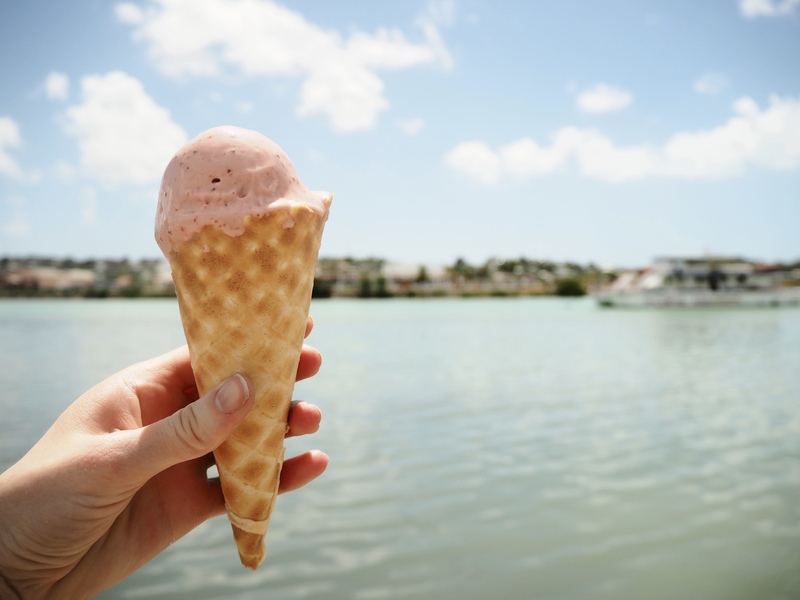 It’s a good way to keep your energy up in the heat! Days out with our boys can be quite frantic, and there were times (quite a few) when it got a bit fraught as we were hot and bothered. Sitting in the shade with our ice creams was so nice and chilled that we could relax properly. We tried to find a balance between trying to do or see everything, and sitting back to just enjoy our family time. These are the moments we’ll remember, not the silly squabbles or the arguments over keeping hats on! The port area has been built up into a little touristy village, with a few restaurants and bars, and some shops selling souvenirs. We popped into one that had a toy shop sign, but actually sold a bit of everything, and we ended up buying a mini steel drum. It was really quite cute, with bright coloured patterns around the sides, and music notes painted on the top. 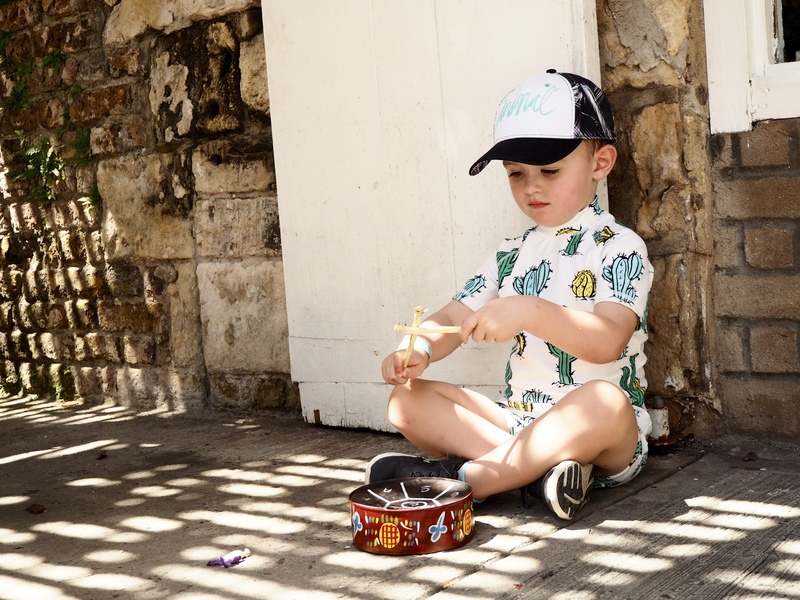 It turned out that all the notes sounded the same with a three-year-old banging it, but that didn’t stop him sitting on the floor to give an impromptu performance for passersby. It started off sweet, but got a little bit awkward when he loudly asked why nobody was giving him money. Travelling with children is an experience to say the least! 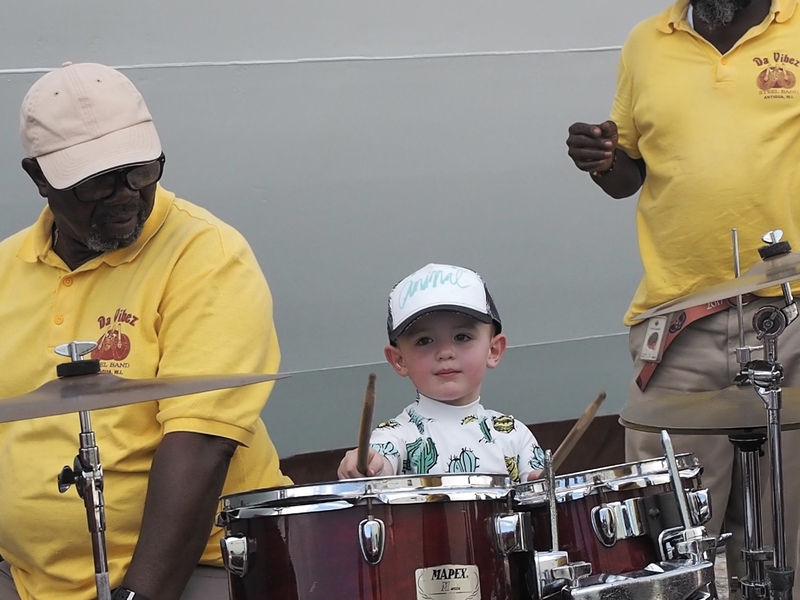 We soon found out this was just the warm-up act as he also sat down to play overlooking the ship, and joined in with the steel band on the dock. He looked so pleased when they let him play with them – his face was a picture. I feel like Antigua was our shortest day ashore. It was hotter than previous days, and we didn’t want to stay out in the sun for too long. We had hoped to find some wifi to FaceTime home while we were ashore as it would be our last chance the next day before we were at sea for a week, but the few networks we tried to connect to would’t work. 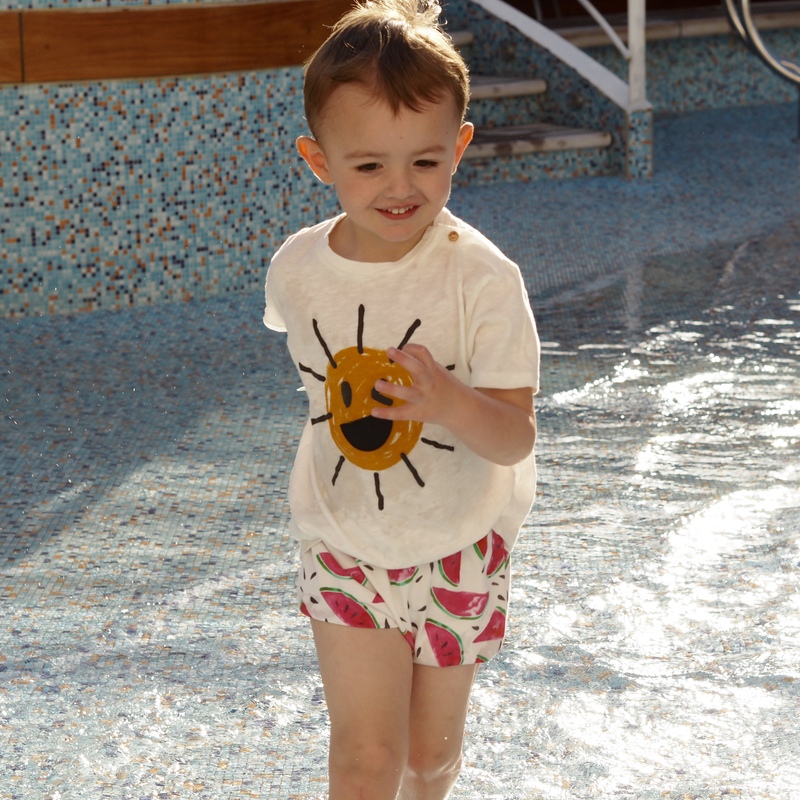 So it was back to the ship – via the steel band and iced water stall – to cool down in the pool again!